Is it really almost June? The days are passing by so quickly. We have been having so much rain that we are running behind on farming and gardening. We will get caught up soon though. 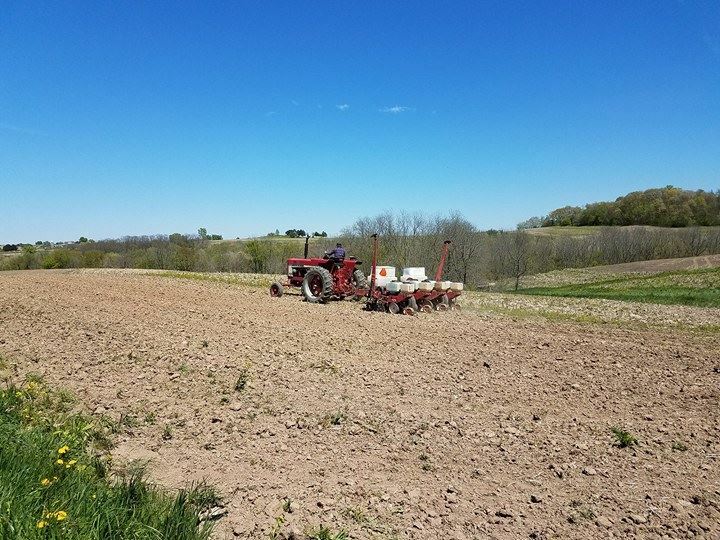 Corn is all in and planted. Soybeans, eh... still working on that one! Facebook shared a memory with me the other day. 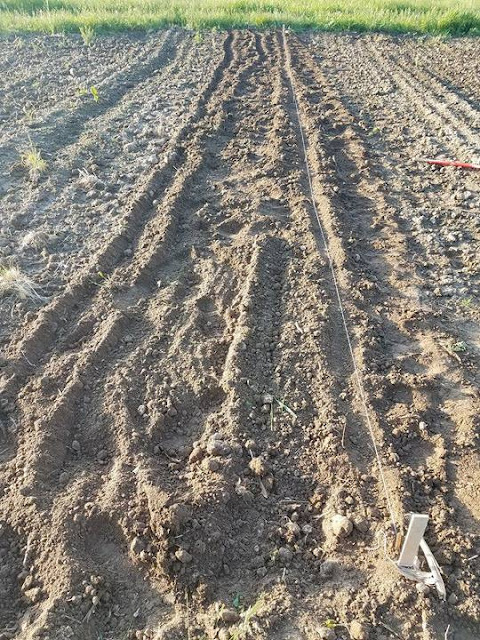 May 26, 2016 we picked our first vegetable. Interesting. May 26, 2017, we PLANTED our first row of vegetables. Better later than never, right? 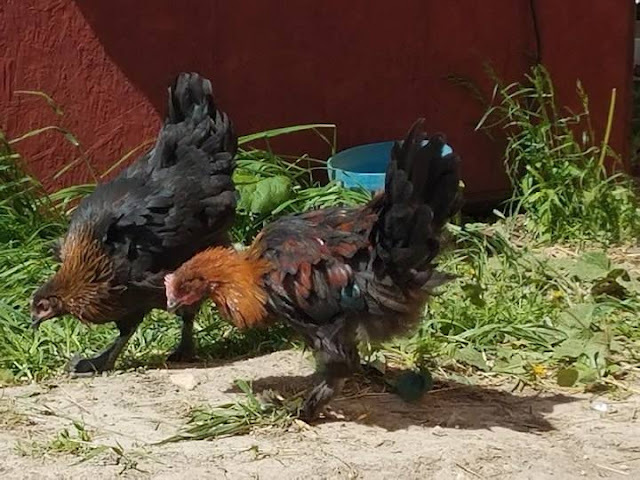 Our beautiful little Black Copper Marans are growing up. We started suspecting one might be a rooster. 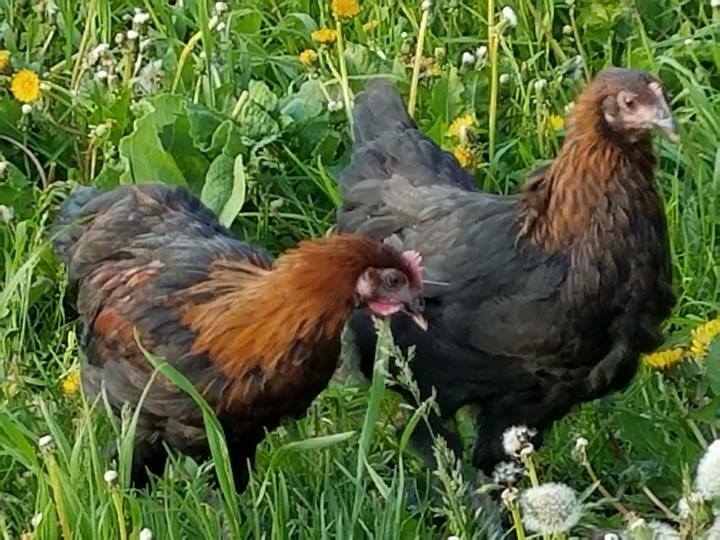 Notice the bigger comb on the chicken on the right? But, we've had that happen before and then we end up getting an egg! But then something else happened. The sun came out, and we could see all the beautiful colored feathers that this boy has. If you know chickens, you know roosters are the more colorful and striking birds. And this boy looks to have some amazing color. I never know for sure until they crow, or lay an egg, but I am not making any bets on eggs coming out of this guy! I wish the pictures were better of these two, but they are jumpy when I am around. And it's hard to get them to pose for me. So, tell me, have you planted your garden yet? 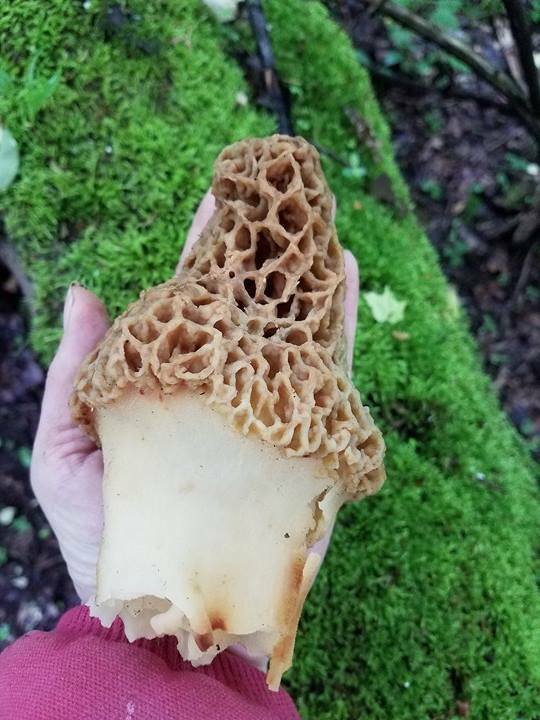 Wow that morel is huge...sad that it's watery. What vegetables did you plant? Can't wait to see them! So far we have lettuces, swiss chard, carrots, and cilantro. So excited! I am looking forward to the rewards already! It is still raining here in Northern New York State, but I am getting flowers in. Hoping to start some tomatoes on my deck, where the bio-terrorists (deer) can't get them!! You know I love pictures of the farm - these make me happy! No garden except for flowers which is a must here. - Love your chickens and wow that was a big morel. To bad it wasn't good to eat. I got most of our garden planted. I hope to finish Tuesday. It has been a busy week! 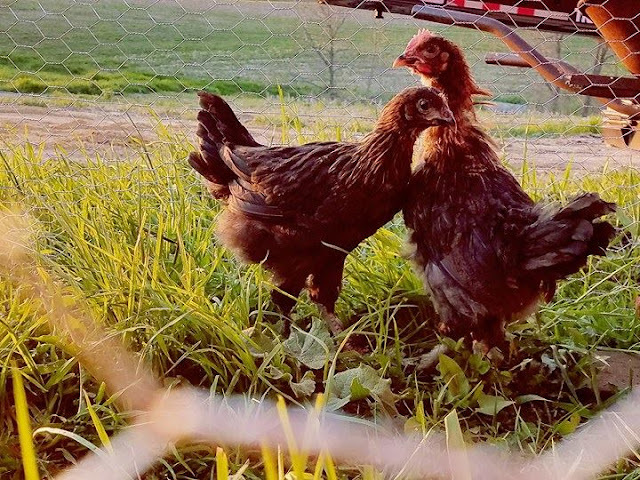 I always enjoy your photos of the farm and hearing all about the farm news.